No one disputes that Terance Gamble, who was convicted of second-degree robbery in 2008, broke the law by possessing the pistol that a police officer found in his car during a traffic stop in Mobile, Alabama, seven years later. In fact, he broke two laws, as both Alabama and the federal government bar people with felony records from owning guns. Does that mean Gamble committed two offenses? That's the question at the heart of a case that gives the Supreme Court an opportunity to reconsider a longstanding but misbegotten exception to the constitutional ban on double jeopardy. Gamble, whose case the Supreme Court will hear on Thursday, was prosecuted and sentenced twice for illegal gun possession, once in state court and once in federal court. As a result, he will remain in prison until February 2020, which is three years later than he would have been released if his punishment had been limited to the state sentence. On the face of it, Gamble's double punishment violates the Double Jeopardy Clause, which prohibits trying someone twice "for the same offense." But according to a doctrine the Supreme Court first enunciated in 1852, Gamble was punished for two distinct offenses: one against the state of Alabama and one against the federal government. As Gamble's lawyers show in their Supreme Court brief, this "separate sovereigns" or "dual sovereignty" doctrine contradicts the original public understanding of the double jeopardy clause, which embodies an ancient principle with deep roots in English common law. The relevant English cases, early legal commentary in the United States and two 1820 decisions by the Court "unequivocally rejected the notion that two sovereigns could punish a defendant for the same crime." As a brief filed by University of Utah law professor Paul Cassell and three other legal scholars explains, "there was no dual sovereignty doctrine before the mid-19th century." The Court initially embraced the idea in defense of slavery and later used it to shore up Prohibition. "The Court invented dual sovereignty largely to prevent free states from blocking the recapture of fugitive slaves," Cassell et al. write. The justices worried that free states would undermine the Fugitive Slave Act by giving abolitionists a slap on the wrist for harboring runaways, thereby preventing federal prosecution. In the 1920s, the justices had similar concerns about state resistance to enforcement of the 18th Amendment. "If a state were to punish the manufacture, transportation and sale of intoxicating liquor by small or nominal fines," the Court worried in a 1922 decision reaffirming the dual sovereignty doctrine, "the race of offenders to the courts of that state to plead guilty and secure immunity from federal prosecution for such acts would not make for respect for the federal statute." Thanks to the Court's ahistorical, result-oriented invention of the dual sovereignty doctrine, defendants like Gamble can be punished twice for the same crime, while others who are acquitted in one court can be tried again in another. The arbitrary power that option gives prosecutors is especially dangerous in light of the bloated federal criminal code, which has expanded so much during the last 60 years that no one has managed to count the offenses it includes. Overlap between state and federal crimes, once rare, is now commonplace. "Given this explosion of federal crimes," Gamble's lawyers note, "nearly every crime can be charged both in state court and in federal court." Justice Department guidelines are supposed to ensure that prosecutors are selective in deciding when federal interests have not been sufficiently vindicated in state court. But if a run-of-the-mill gun case like Gamble's qualifies, anything can, and the finality of state criminal proceedings is subject to the untrammeled whims of federal prosecutors. The Trump administration argues that "any concerns of potential unfairness from particular separate prosecutions are best addressed by policymakers." But that unfairness has already been addressed by the double jeopardy clause, if only the Supreme Court would stop pretending otherwise. 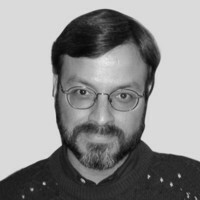 Jacob Sullum is a senior editor at Reason magazine. Follow him on Twitter: @JacobSullum. To find out more about Jacob Sullum and read features by other Creators Syndicate writers and cartoonists, visit the Creators Syndicate website at www.creators.com.